- Solid beech wood frame (large diameter timber). 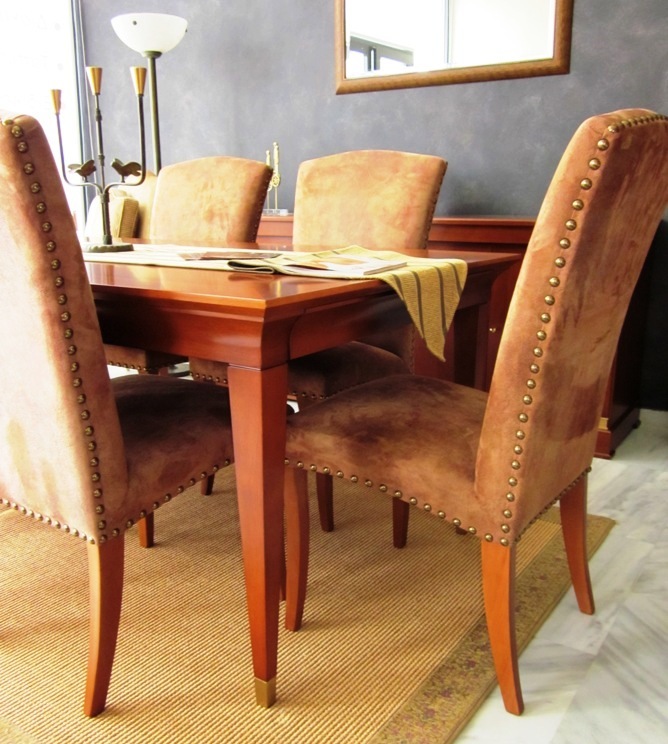 - Coil sprung seat suspension (traditional stitch with jute materials and soufflé style, if selected). - Back suspension made from zigzag springs. 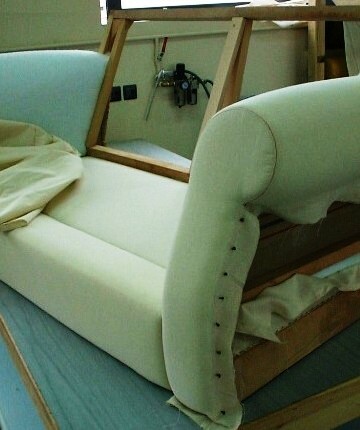 - Handmade “bourlet” upholstery placed at the edges of the frames. 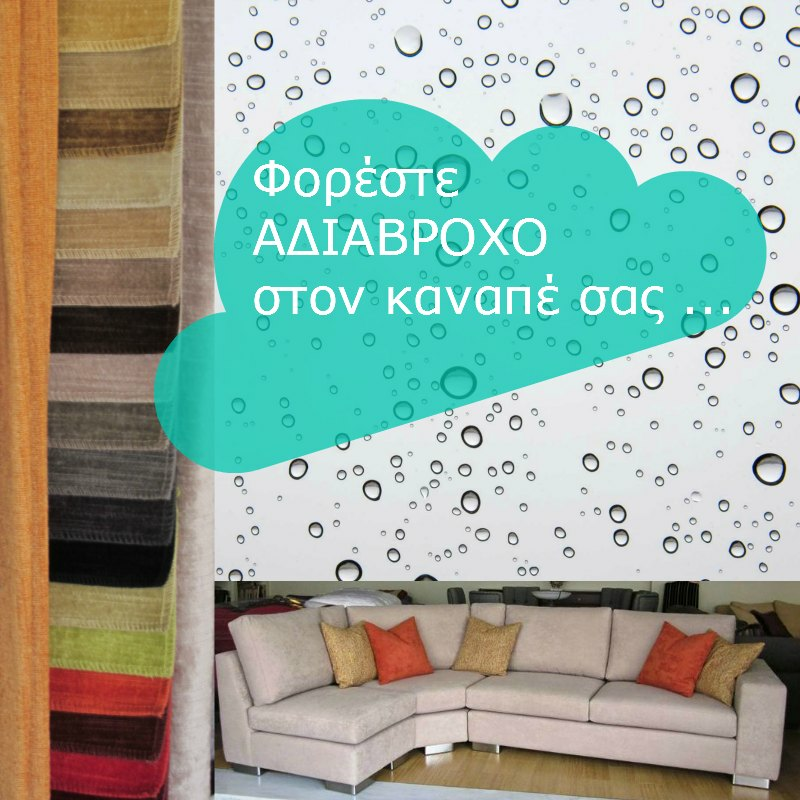 - Upholstery made with cotton lining, rubber and polyester or cotton pad. - Calico (100% cotton) lining under the fabric. - Seat and back cushions made of latex or rubber foam, wrapped with Dacron wadding and dressed with calico (100% cotton) or filled with feather, polyester fiber, latex stick inside a special feather-proof chambered case, in order to prevent shifting of the material. 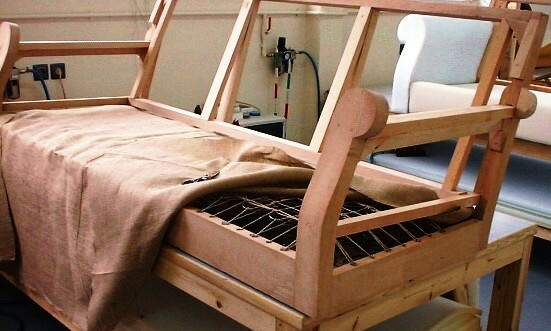 ► Manufacture of wooden furniture, custom-made, in any desirable dimension, using noble materials, such as Greek walnut and beech, veneers of walnut or olive root, and applying various techniques for the decoration of surfaces (such as marquetry). 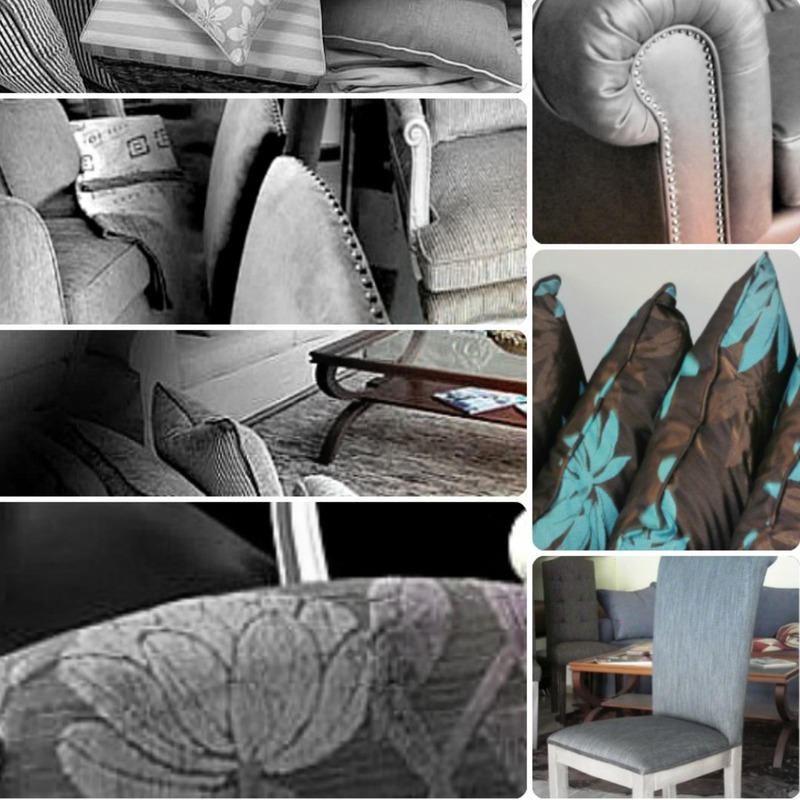 ► Manufacture of furniture covers, cushions, throws, trimmings and accessories, such as cords, tassels, fringes, tie-backs etc., which you can combine with your new furniture or use to revitalize your old pieces. ► Manufacture of screens and specialized items, upholstery of auxiliary pieces and large surfaces.